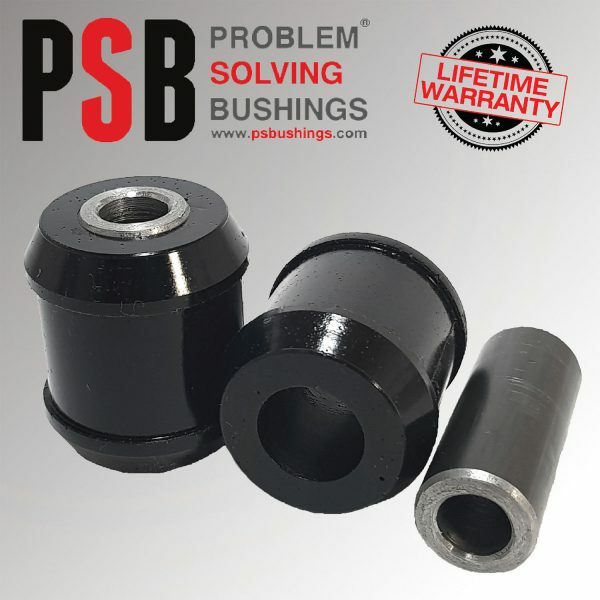 PSB specialises in manufacturing polyurethane “problem solving bushings”. We strive to develop new and innovative products that are not just factory replacement parts, but actually solve many complex and inherent design problems in new vehicle suspensions. Design – The sleeves in our bushings freely rotate which enhances longevity. 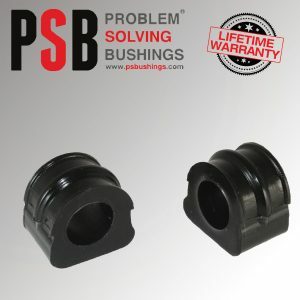 Installation – Once removal of original bushings has taken place, installation of the new polyurethane bush typically takes from 1 – 5 minutes to install, the techs love it! 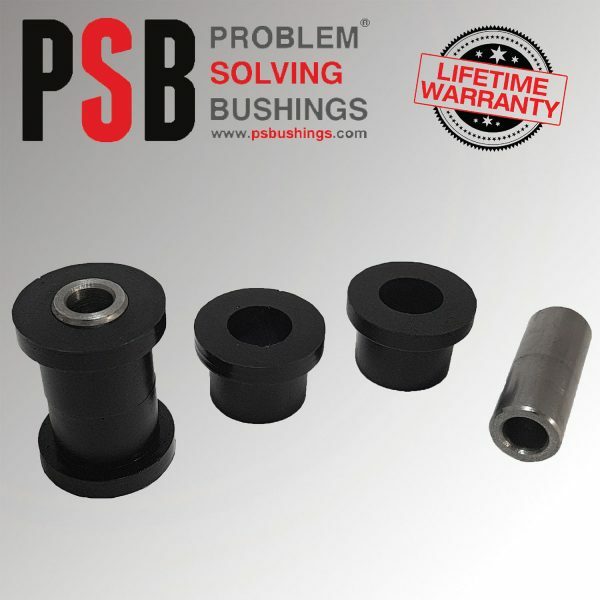 Polyurethane bushings are stronger and last longer than standard rubber bushings. 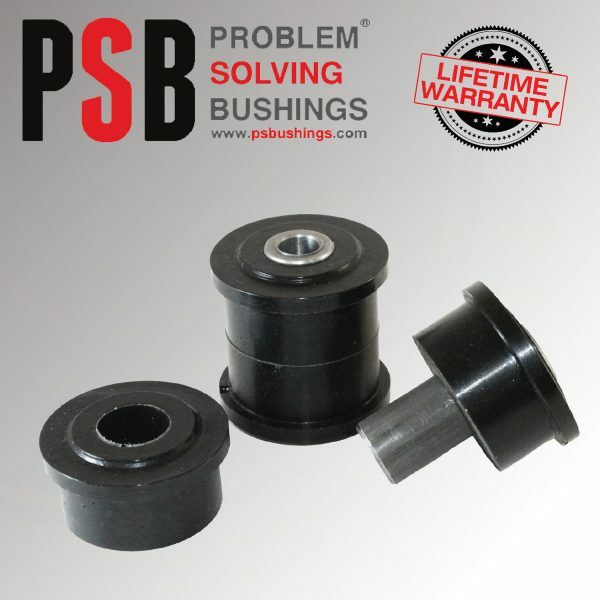 Most modern production vehicles are designed using rubber bushings which have a limited lifespan. This contributes to suspension failure due to vehicular weight and the inherent design of high-tech suspensions. 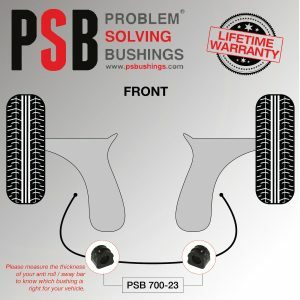 Typically this results in less than desirable vehicle handling and can cause many related parts to wear out more rapidly than necessary. Polyurethane corrects this problem and in many cases improves vehicle handling and drivability. – This product is manufactured with the highest grade of polyurethane and the durometer of the bushing is designed to fit the application. – The quality and lifespan of this product far exceeds the original part. – If this product does not meet with your expectations, we will refund the purchase price if returned within two weeks after the purchase date. 1. Unclamp metal bracket of original bushing. 2. Remove old rubber bushing and clean bar. 3. Find slit on new poly bushing and slide over the bar. 5. The installation is complete.